Suspended Ceiling: Why is this Always a Choice? The ceiling of the house is usually overlooked when it comes to renovating the house. The truth is, this large part of the house will make a drastic or dramatic change if changed or planned properly. Owners of modern houses opt for changing their old traditional ceiling into a suspended ceiling instead of changing the paint color of design of the ceiling. Owners of old big houses choose suspended ceilings because they have enough distance between the ceiling and the flooring due to the enormousness of the house. The height of the ceiling is a major consideration before renovation. The design is the next priority. The owners of big houses are more fortunate to have more design options. Wooden details can change a ceiling profile dramatically. For example, the wood design, particularly that if dark stained, draws eyes upward. Just a tip of advice, for consistency, it would look good if the same color of wood will be used for doors and window. Wallpaper is also interesting to consider. Aside from being used on walls, it is usually recommended by contractors and architects to be used as cover on ceilings. Wallpaper comes in different patterns to suit the taste of the home owner. Lastly, as discussed above, suspended ceiling is another option for renovating the ceiling if aesthetic is not the main reason. 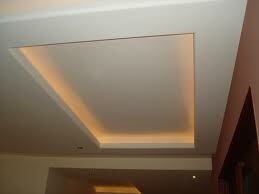 This kind of ceiling is usually seen in houses with a lot of things to cover such as wiring, pipes, etc. this is sometimes called a secondary ceiling because it only covers the first ceiling which is usually covered with unattractive and dangerous materials of the house. Several types of designs and renovations were discussed above. However the main concern for each home owner who is planning to renovate the ceiling should not be all aesthetic, but also the safety of the people living in the house. For old houses, changing the design may be a good idea for renovating the ceiling but there are wiring that re perhaps, due oldness of the house, need to be hidden. And indeed, this is a proper attitude in renovating the house.